“Nowhere Else to Go, but Dyea,” by Nita Nettleton. Lynn Canal Publishing, 2015. 208 pages. $14.95. “The Dyea Convicted Felons Club,” by Nita Nettleton. Lynn Canal Publishing, 2018. 240 pages. $14.95. It’s often said, “In fiction, only trouble is interesting.” “Madame Bovary,” “The Great Gatsby,” “To Kill a Mockingbird,” any number of contemporary thrillers and mystery novels — these stories are all driven forward by various troubles, conflicts, and desperate needs. From time to time, though — perhaps especially in a time and place of real-world conflict — we might like to read stories that are of a calmer nature, showing us how it can be to love our neighbors and live in peace. 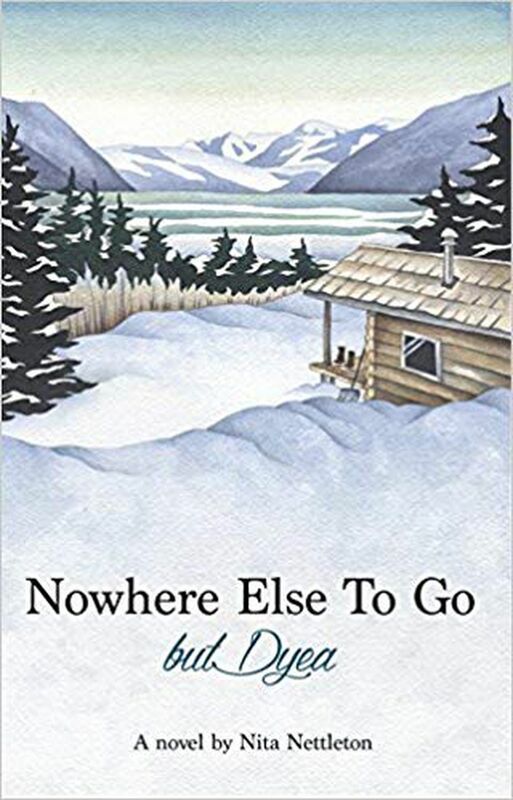 Such is the work of former Alaskan Nita Nettleton in her two Skagway-related novels, “Nowhere Else to Go, but Dyea” and “The Dyea Convicted Felons Club.” The second, recently published, works as a sequel to the first, but each one can stand alone. “Nowhere Else to Go, but Dyea,” by Nita Nettleton. One by one, we meet Henry’s kind new neighbors and others in the Dyea-Skagway community. The charm and fun of the book comes with the eccentricities of the various characters and the adventures they get into together. Although the characters and situations are fictitious, the area’s geography, history, and natural history are depicted in recognizable form. Alaskans will get a kick out of the small-town dynamics, and visitors will enjoy learning about the gold rush past and how people build creative lives in modern Alaska. 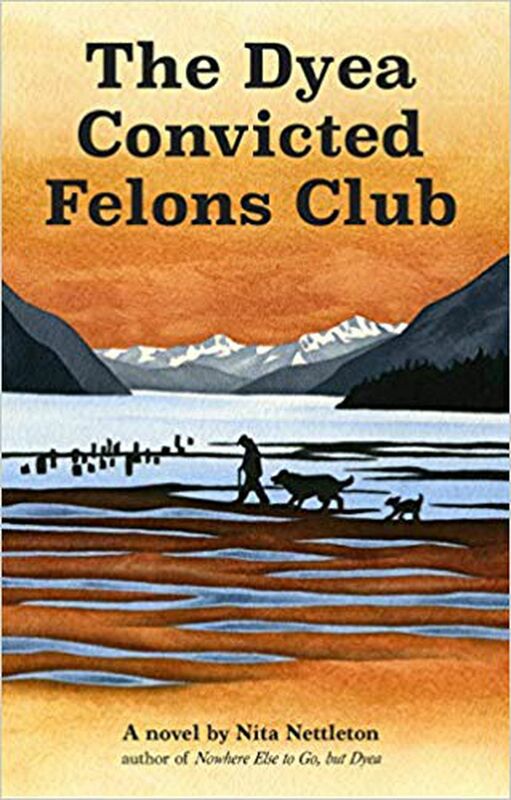 In “The Dyea Convicted Felons Club,” we learn that Henry’s group of Dyea/Skagway friends, who gather for poker, are all either criminals of one kind or another — or thought they were or might be. The rapid reintroduction of the many members of Henry’s new neighbors and associates might be confusing to a reader without the benefit of having met them in the earlier volume at a more leisurely pace, but soon enough they sort themselves out. There’s a bit of a mystery at first, when a “parky” (park employee) appears with a metal box he’s apparently just dug up and then conveniently falls dead of a heart attack. There’s treasure in the box — what kind exactly is unclear for a while, as is what those who found and rehid the box will do about it. The ensuing drama is not a driving force here. Instead, as in the first novel, the story is really a feel-good one about friendship, community, and inventing new or alternate lives. There are dogs in both stories, and in this second one they’re given as much consciousness and agency as the human characters, which may strike readers as an odd bit of supernaturalism in what is otherwise a realistic story. A mountain lion also plays a key part; this appearance is a real possibility, as the animals sometimes stray into Southeast Alaska, with one reported sighting by a state trooper in Skagway a number of years ago. In this volume, Henry finds himself more and more “at home” in his new community, with strong friendships, a love interest, useful work, and, in the end, reconciliation with his daughter. It gives nothing away to tell this, since the entire narrative trend is upwards, with no instances of real trouble for Henry or others. There’s plenty of humor along the way; plenty of potlucks, barbecues, memorials, and beer and coffee drinking familiar to Alaskans; and plenty of character “types,” including clueless tourists, to recognize. Nettleton is also the author of three previous humorous books about Alaska adventures and editor of a guidebook to nature along Alaska’s Inside Passage. She currently lives in Oregon but previously made homes in Talkeetna, Skagway and Juneau. Nancy Lord is a Homer-based writer and former Alaska writer laureate. Her books include "Fishcamp," "Beluga Days," and "Early Warming." Her latest book is "pH: A Novel."